This beautiful, picturesque city is slowly becoming a favorite destination for weddings. Kerala has a lot to offer- the beautiful lush greens, romantic boathouses, hill stations, and clean beaches! It is easily accessible- it has 3 international airports, one domestic airport, and 81 railway stations (Yes, you read that right!). Food served on banana leaves, groom entering on an elephant, family gatherings on a houseboat, and the graceful folk dancers- yes, the beauty of getting married in Kerala. Favorite resorts to choose from: Le Meridian (Kochi), Coconut Lagoon, Kumarakom Lake Resort, The Zuri Kumarakom. Udaipur is one of the most famous destination for weddings and pre wedding photoshoots in India. Plenty of palaces, this city of lakes is a good option for those who are looking for a royal, fairytale kind of wedding. 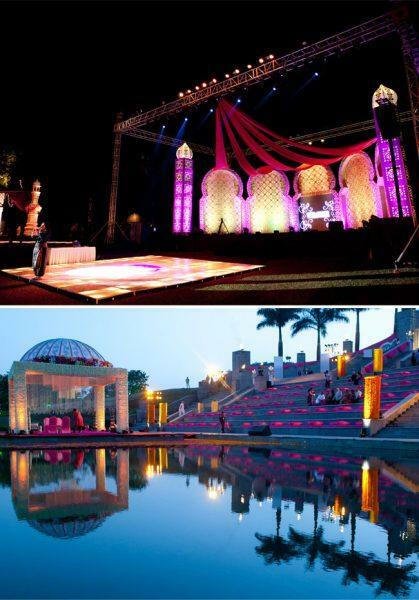 But, if you don’t have a high budget and still want to have a wedding in Udaipur, then fret not! There are some budget options- Raas leela, Uday Kothi, Labhgarh, Amet Haveli, with some amazing view and staying options. Some hotels also provide in-house decoration services, so make sure you explore your options before finalizing vendors. Udaipur is easily accessible- it has one domestic airport, and a railway station. If you are a die-hard romantic, then Andaman is the ultimate wedding destination for you! 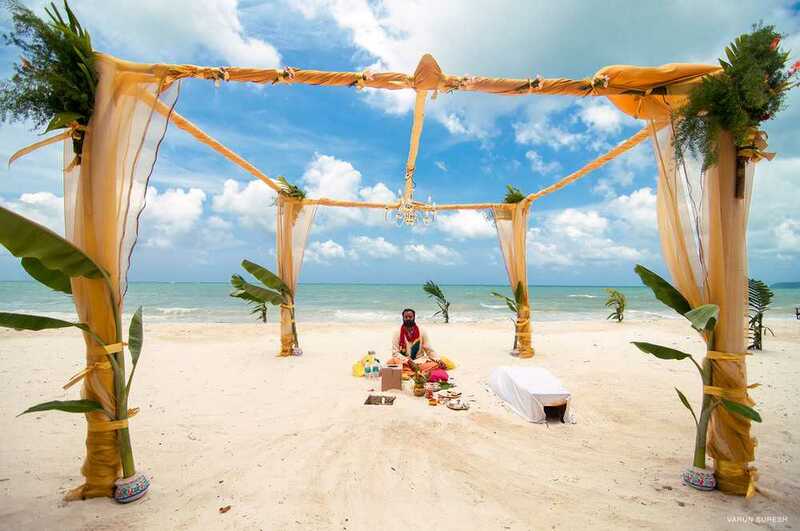 A beach wedding could easily be planned in Andaman as many beaches are secluded, but also have resorts attached to it. The blue water, gorgeous weather, and the greenery will provide a breathtaking backdrop to your photographs. Although, the availability of vendors might be a little difficult. For decoration, try not to go with major structural things. Reaching Andaman has become fairly easier as well, with the launch of direct flights from Delhi, Chennai, Kolkata, Hyderabad, and Mumbai. Best resorts to choose from: Barefoot at Havelock, Symphony Palms Beach Resort Govind Nagar, Munjoh Ocean Resort, and J Hotel Port Blair. Alibaug is a small, unexplored, beautiful coastal town located in Maharashtra. This one is perfect for those who are looking for budget locations. 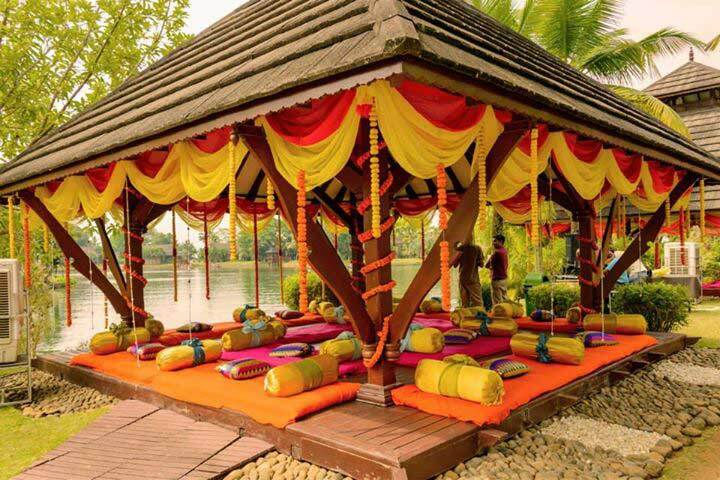 With so beautifully maintained wedding locations, the need to do so much décor also reduces, which in turn save costs. The nearest airport to Alibaug is Mumbai (it is approx. 108 km from Mumbai). One can reach Alibaug by road or can take the ferry. Best Resorts to choose from: Radisson Blu Resort and Spa, U Tropicana, Maple Ivy. Hyderabad-The land of Nizams and huge, luxurious palaces. The charming palaces are a perfect location for those who want a taste of the royals. Abundant vendors are available in Hyderabad- from photographers, decorators, caterers. It’s best to book at least 6 months in advance if you want a location of your choice. Countless hotels and wedding venues are present in Hyderabad, and some of our favorites are: Taj Falaknuma Palace, The Park, The Westin Hyderabad Mindspace, Marigold by Greenpark, and Courtyard by Marriott. One of the off-beat destinations for weddings in India, Banaras is perfect for those looking for a traditional, budget wedding in the Holy land. There is no issue in the availability of vendors in Banaras. Hotels like Radisson Blu and Ramada Plaza JVH provide wedding packages as well. Banaras is well connected by railways, road, and air. 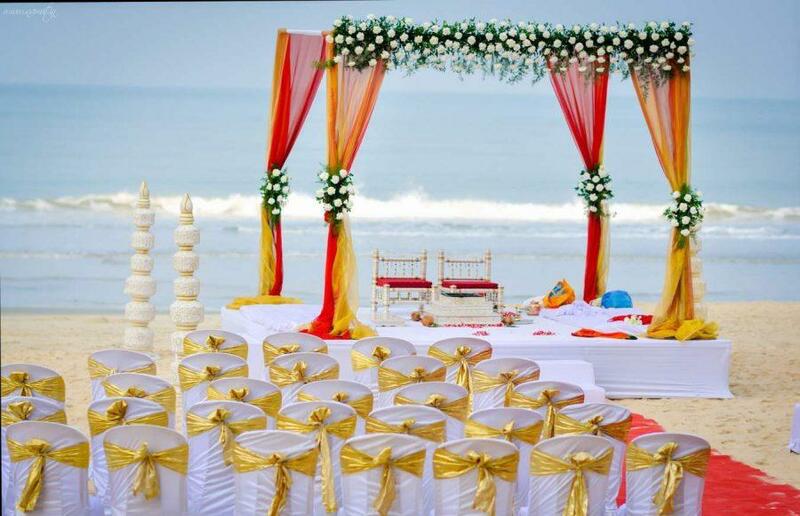 In the recent times, with the increase in the local vendors, Goa has become a very popular choice for weddings. Choose a location in South Goa as North goa is very crowded throughout the year, and very touristy. However, during October-March, it may be very difficult to get the resort/ venue of your choice, and the prices go very high during these times! Being a party hub, Goa is full of DJ’s, bands, and entertainers. Best resorts to choose from: Caravela Beach resort, Novotel Goa Resort and Spa, Resort Rio, The Leela Goa, Holiday Inn Resort Goa. 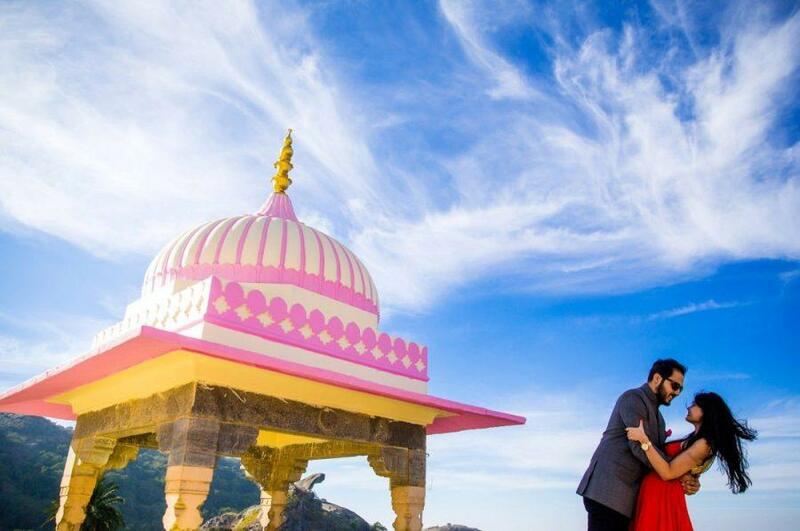 Mount Abu – another budget wedding destination. A popular hill station in Rajasthan, located 1220 m above sea level. 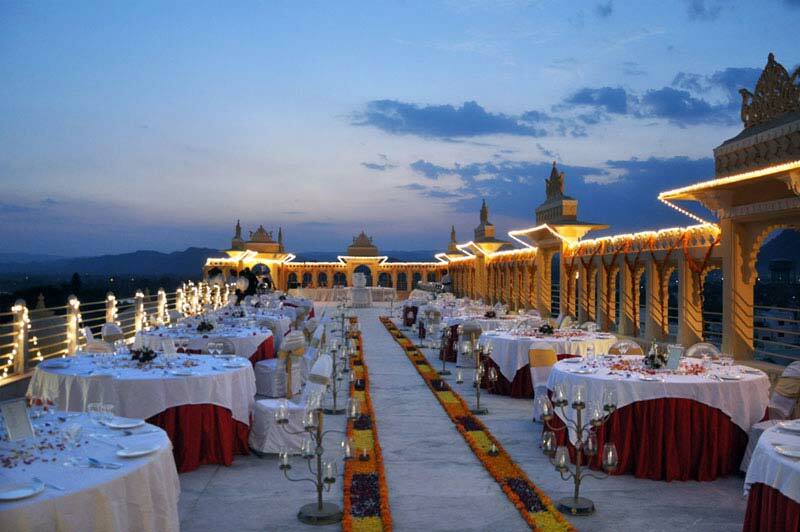 The best time for a wedding in Mount Abu is between February to May, although connectivity may be an issue. The nearest airport/railway station is Udaipur. The availability of vendors is also an issue, it is advised to outsource them. Best hotels to choose from: Hotel Aravali, Hotel Hillock, The colonial- Manek Manor, Cama Rajputana Club Resort, Chacha Inn. 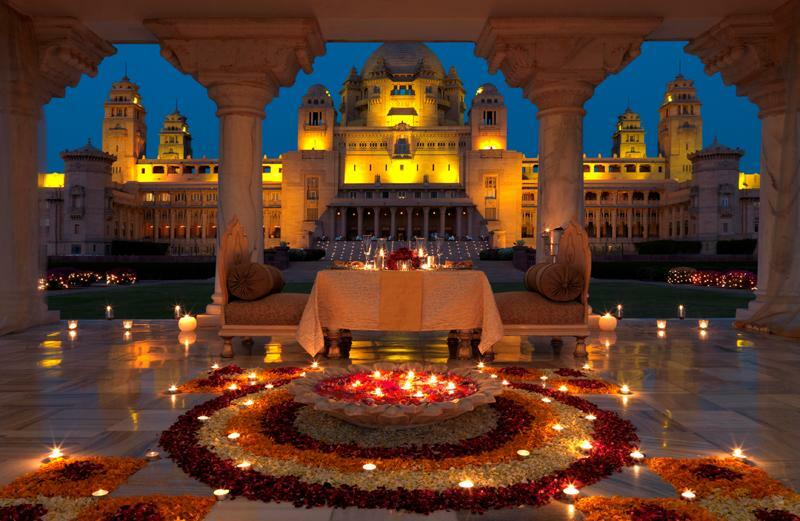 Jaipur- a place where you can say “I Do” in a grand style. 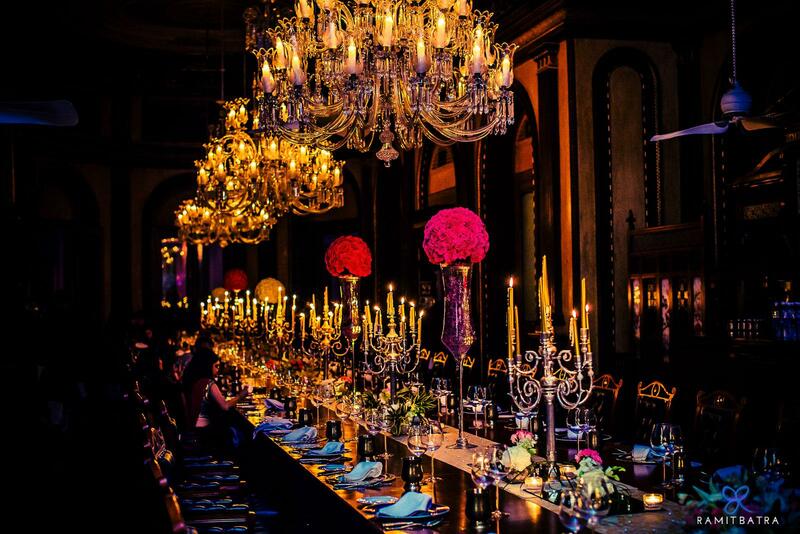 Lots of elegant options are available in terms of venues, photographers, decorators, caterers. Whether you want a romantic, minimalist setting or a royal, traditional setting, this city provides it all! There are both budget options and luxury options to choose from. 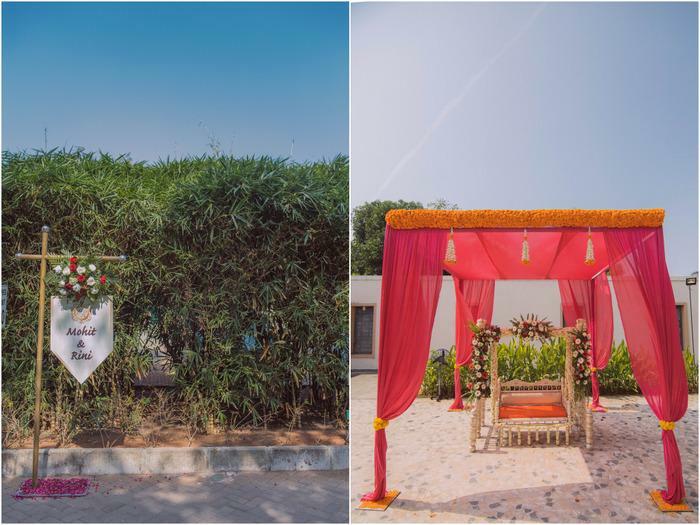 The best time for a wedding in Jaipur is during the winter months- November to March, the rest of the year gets extremely hot and humid. Best hotels to choose from: Chomu Palace, Lebua Resort, The Raj Palace, Shahpura Haveli, Jai Mahal Palace. A scenic, peaceful destination on a short drive from Delhi. 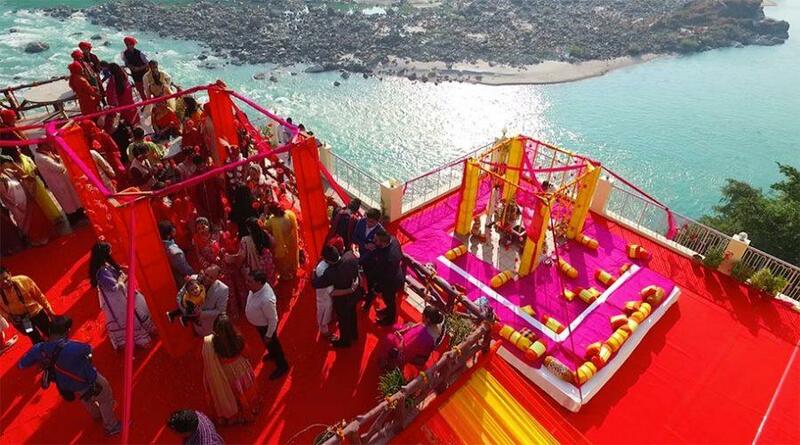 The weather is favorable throughout the year, so you can plan a wedding in Rishikesh according to your dates! There are a few wedding decorators based in this hilly city, but hey, you don’t really need so much décor in this place! Choose a seating plan and fairy lights, and you’ll see for yourself how magical it looks! Catering is provided by most of the wedding venues itself, but for photographers, you will have to outsource them! The only drawback is the accessibility. You may choose to travel by your own car, or hire a bus, depending on your guests! Best hotels to choose from: Sanskriti Vedic Retreat, Divine Resort, Hotel Grand Tapovan. • Hire a wedding Planner, they’ll cut down your costs and customize according to needs and ideas! • Choose and book a venue at least 6 months in advance. • Try to book the flight tickets/rail tickets of your guests along with yours, as it will save cost and reduce confusion. • Book all your vendors in the same hotel as yours. For the brides-to-be, chill! It’s not every day that you get married, make sure you have a great time!